At Daisy we are very pleased to have joined the Prescription Charges Coalition www.prescriptionchargescoalition.org.uk – a group of over 40 organisations campaigning to end unfair prescription charges for people with long-term medical conditions. 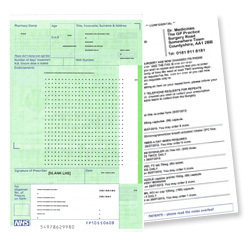 Some long-term health conditions are eligible for prescription charge exemption, but this list was created in 1968 and has hardly changed in the last 50 years. Several conditions which require long-term hormone replacement such as hypothyroidism (under active thyroid) are included on the list and we believe that POI should be included too. As part of the campaign this year to mark the 50th anniversary of the medical exemption list on June 10th 2018 the Prescription Charges Coalition has launched a petition calling on the Government to reform exemption criteria in England – PLEASE SIGN UP NOW TO SHOW YOUR SUPPORT! What is your opinion on prescription charges in POI? Do you feel your treatment has been adversely affected by prescription charges? Have you ever not collected your prescription due to the costs? Please get in touch with your thoughts to info@daisynetwork.org.uk – having our members’ viewpoints will help give weight to our campaign!